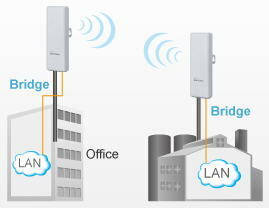 AirMax5N is the new generation of all-in-one wireless 5GHz CPE built to the highest standard. It greatly surpasses the competition in value, feature, performance, and reliability. 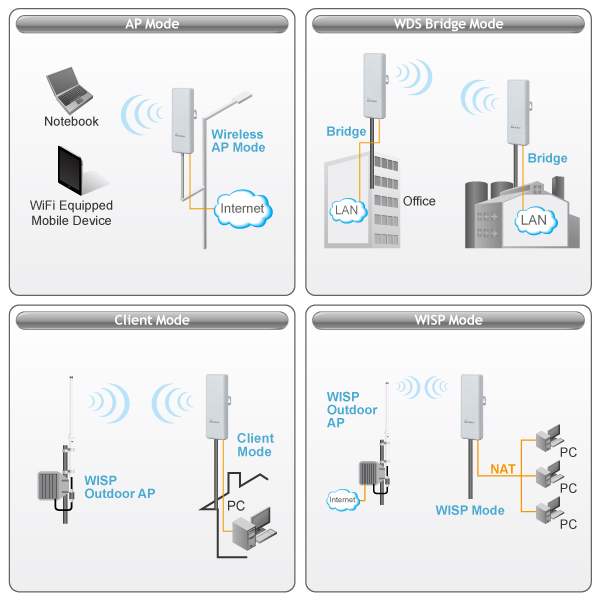 If you are looking for a cost effectively way to build your weatherproof wireless outdoor network that can withstand the test of time. Look no further, AirMax5N is the first choice. - INCLUDES PoE Adapter Kit with power supply and power injector! 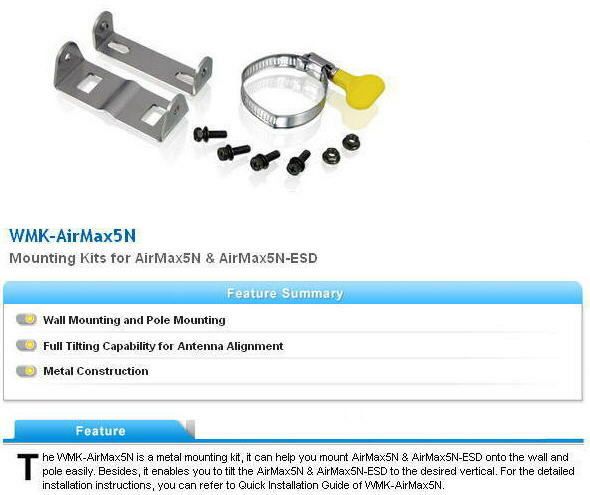 - INCLUDES Built in 16dBi Antenna! The AirMax5N comes with just about everything you need to build 5GHz outdoor connection instantly. The CPE enclosure is built with high grade anti-UV materials for protection from prolonged sunshine and rain. 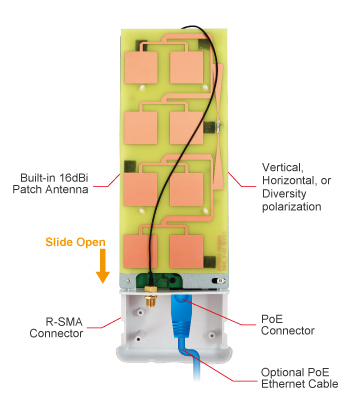 It includes an integrated 16dBi 5GHz antenna with horizontal, vertical, or diversity polarization. 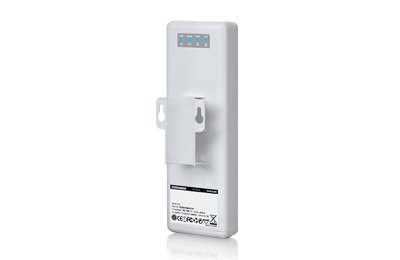 The built-in advanced passive Power over Ethernet is for the deployment of the PoE network environment. AirMax5N can reach long distances using the built-in antenna. Depending on the terrain If you need more or maximum distance, simply connect a hi-gain external antenna to the R-SMA port. It really is that versatile and simple. POWER - Small it may be, AirMax5N is all about power and performance. The core of AirMax5N comprises of a max. 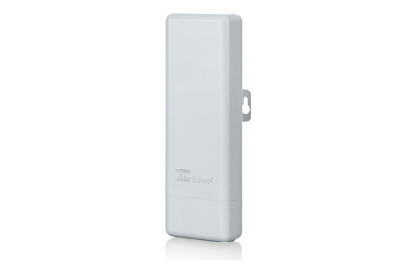 22dBm Output Power 802.11a/n 150Mbps radio that is capable to run in both 802.11a or 802.11n modes. Together with the built-in 16dBi antenna and a highly efficient firmware, AirMax5N can normally easily transmit data over a distance of 3km and beyond depending on terrain. Field tested under ideal conditions to 20km Max. DESIGN - Using an Advanced and Intelligent circuit board design, AirMax5N is able to bring the best out of its components, allowing them to run at optimized level and reducing power loss, thus giving you unparallel performance against other devices with the same configurations. ORIGINAL - AirMax5N OS is designed completely from the ground up. Unlike others who built their firmware on top of generic firmware, AirMax5N OS is based original drivers. Together with our own innovative functions, AirMax5N OS provides you with the maximum stability and advanced functions that is not available elsewhere. QUICK - Designed to work right out of the box, AirMax5N provides you with everything you need, such as durable and weatherproof housing, mounting system, back panel LED indicators and PoE. You will be able to AirMax5N up and running in no time. Waverider Communications ships Worldwide. Reseller enquiries are welcome.